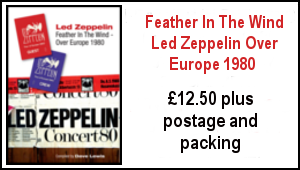 Dave Lewis and Julian Walker Present..
Patrick Humphries journalist, author and broadcaster discusses the Led Zeppelin The Fairport Convention Connections and more.. Please note, there is a ceiling limited on how many we can accommodate – so order your ticket as soon as possible to ensure entry. 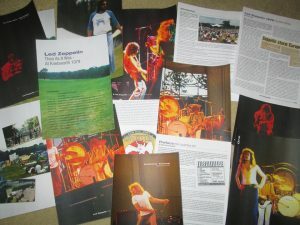 Two new previews of the upcoming “Led Zeppelin Live” photography book have been published. Variety published a series of photos from the book, and another preview of the book was published online here. It’s due to be published on July 25. 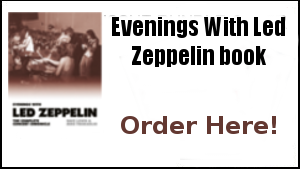 The “Evenings With Led Zeppelin” book is now scheduled to be released on September 7. See the Amazon listing here. It was previously scheduled to be released on September 20. Plant also announced a show in Cardiff, Wales on October 25. 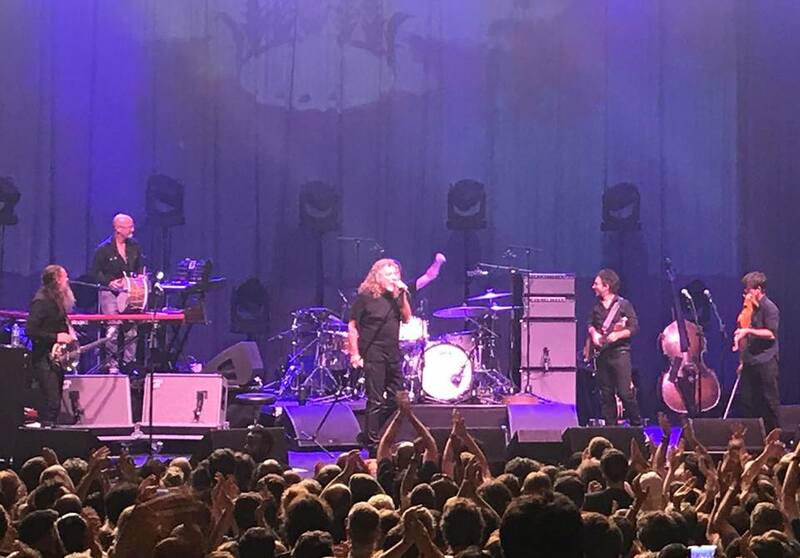 Music Business Worldwide published the speech that Warner Music’s global CEO of recorded music, Max Lousada, gave about Robert Plant on July 6. September 7 – Led Zeppelin will released the remastered edition of “The Song Remains The Same” and new merchandise and the “Evenings With Led Zeppelin” book will be published. September 15 – Robert Plant will perform at the Telluride Blues & Brews Festival in Colorado. September 27 – Robert Plant will perform in Lubbock, Texas. September 29 – Robert Plant will perform in Austin, Texas. 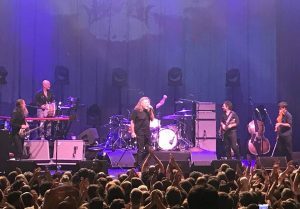 September 30 – Robert Plant will perform in Austin, Texas. 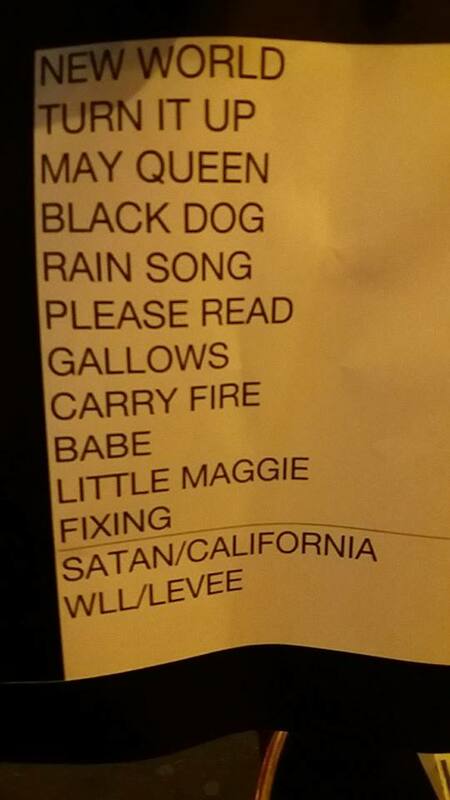 Here’s a pic from Tuesday’s Sale Pleyel gig in Paris via Krys Jantzen = plus the set list pic via Andre Cruz. Both of them reported what a great performance it was. I am currently working on a feature with Mike Tremaglio for the next issue of Record Collector due out next month. ”One publishes a splendid Led Zeppelin magazine doesn’t one” – The TBL 2 meet HRH, July 21st 1982. 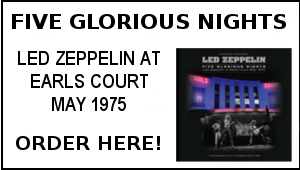 This was the night Robert Plant performed on a London stage for the first time since the demise of Led Zep. Tom and I were there on the evening of July 21st 1982 to witness him romp through a spirited delivery of Worse Than Detroit from the still very fine Pictures At Eleven album with Robbie Blunt on guitar and all star line up that included Midge Ure and Phil Collins. The night was made very memorable by the attendance of his Royal Highness The Prince Of Wales. 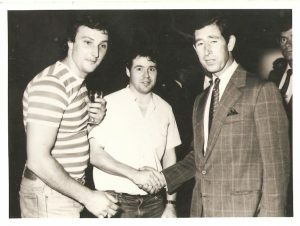 As the photo shows, at the aftershow reception the TBL two of myself and Tom were duly introduced to Prince Charles himself. Shame I didn’t have any TBL magazines on me as I could have passed one for the Prince to read in between the feeds of the then month old Prince William. All in all it was a very memorable occasion. This a very welcome new anthology coinciding with Graham’s UK tour. I already have much of his work including the 2009 Reflections 3 CD box set but this 30 track set has much to commend it –not least a whole CD of mainly previously unreleased demos. CD 1 is an intelligently compiled overview of his best work. It meanders seamlessly between his collaborations with Crosby, Stills and Nash and his own solo work. Through it all is Nash’s distinctive mid Atlantic drawl with still a hint of Manchester seeping through a constant reminder of his roots. ”I was born in England and I’ll be English ’till the day I die” he said in a recent interview. That is the songwriter’s cue to relay to his new band mates a composition left over from his Hollies days. This simple acoustic demo brings out the pure beauty of the song and it’s a template for the following 14 selections all in stark demo form in ether acoustic guitar or piano arrangements. 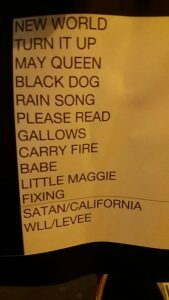 The set contains early versions of CSN classics like Our House, Wasted On The Way, Pre-Road Downs, and Teach Your Children. Other unreleased gems include: I Miss You and You’ll Never Be The Same — both from Nash’s 1974 solo album Wild Tales — and Horses Through A Rainstorm, originally intended for Déjà Vu. The appearance of the latter song in a version recorded by Nash in his apartment in London in late 1968 is the highlight of the whole album for me. I’ve been tracking this song for some years and it has a complicated history. It first appeared on record on Terry Reid’s album Bang Bang You’re Terry Reid in late 1968 titled Without Expression – a slower soulful arrangement and a showcase for Reid’s passionate vocal style. I first came across it on the 1990 CSN box set – Horses Through A Rainstorm being one of a number of previously unreleased tracks –the sleeve notes confirm it as being left off Déjà vu. It also has a spoken link intro part of which was retained on the album to open Almost Cut My Hair. Finally a word on the package. It comes with a superbly detailed 12 page booklet. This has the sort of fascinating detail that makes these packages such a joy. From studio and mixing info to a lengthy informative sleeve note by Arthur Levy –it’s pure class and adds vital context and perspective to the story of these songs. 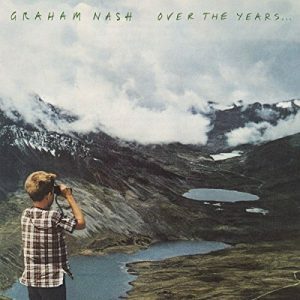 Nash and compiler Joel Bernstein have applied this care and attention to previous CS N and Y archive releases and Graham Nash Over The Years is no exception. At under a tenner it’s also an absolute bargain. Dave Lewis – July 21 ,2018. There was a gap of some 27 years between me seeing Jimmy Page, Robert Plant and John Paul Jones on stage together again at the 02 in 2007. 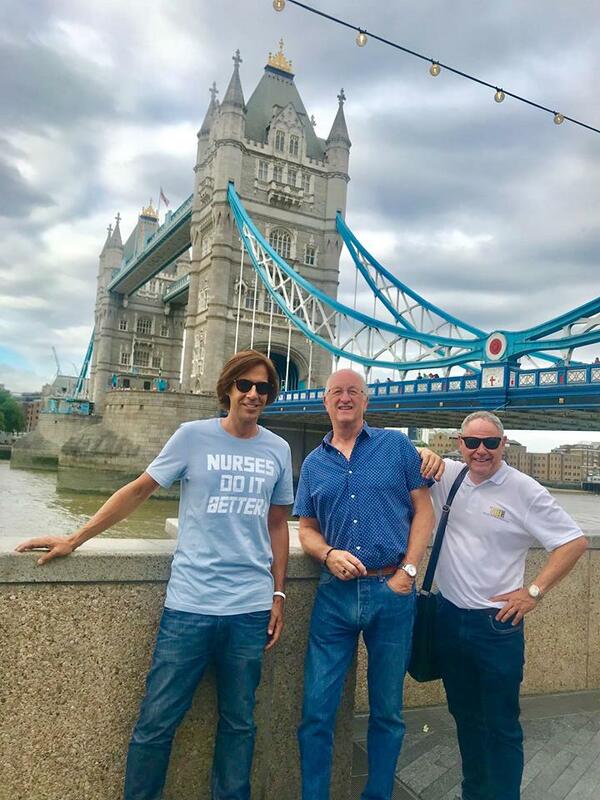 The recent Rolling Stones gig at Twickenham ended a 15 year hiatus of seeing Mick and co.
That’s nothing compared to the total of intervening years in my experience of seeing Graham Nash on stage. 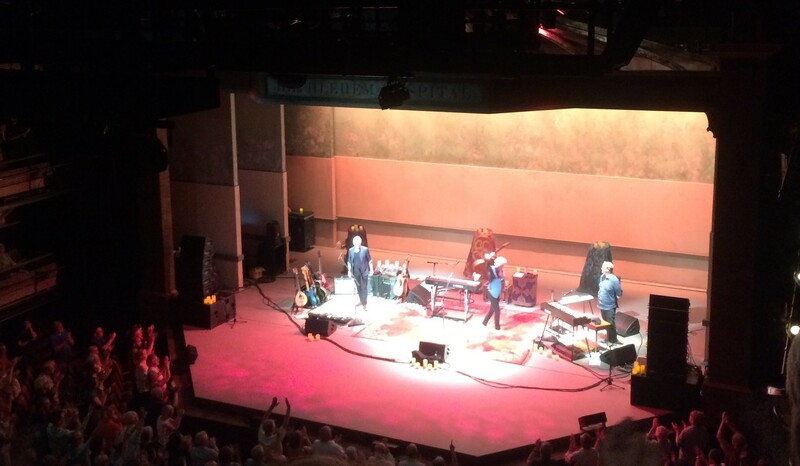 The Bridge Theatre was the venue for this memorable Evening With Graham Nash – and a splendid venue it is – very modern and the gallery seats are all raised to ensure a clear sightline to the stage. A shoeless Graham wandered on looking like some 60s troubadour who had thrown his sandals in the air during Country Joe’s Fish Cheer at Woodstock and never retrieved them. Flanked by the excellent Shane Fontayne on guitar and Todd Caldwell on keyboards, early highlights included a delicate delivery of The Hollies Bus Stop, a majestic I Used To Be A King and a thrilling Military Madness. 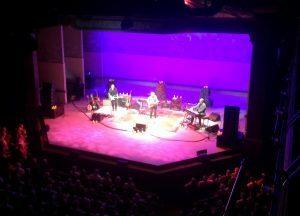 His in between song banter was warm and engaging – lots of mentions of David Crosby – and some moving words about Joni Mitchell ‘’Joni will be back’’ he said emphatically to huge cheers before a glorious Our House. Elsewhere there were tributes to both The Beatles – a stirring A Day In The Life and Buddy Holly, a sweet close harmony delivery of Everyday. Throughout the night we were subject to a delightful meandering through Nash’s back pages. Marrakesh Express, Golden Days, Sleep Song, Just A Song Before I Go and a beautiful take on Stephen Stills’ 4 and 20 among them. The voice, with that soaring falsetto was remarkably strong as demonstrated by a vibrant Chicago/We Can Change The World. A reverent Teach Your Children was a suitably feelgood send off. In the intimate surroundings of the Bridge Theatre, Graham Nash certainly succeeded in that – for what were once songs for beginners are clearly now songs for the converted. Sharing this evening with one of the true singer/songwriting greats was an absolute pleasure. 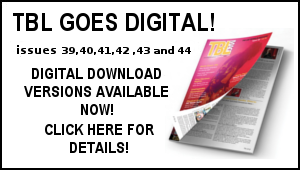 Dave Lewis – July 23, 2018. At the always excellent Vinyl Barn last Friday morning I was pleased to find a copy of the 1974 Tim Rose album produced by Gary Wright on the Dawn label -plus a bonus WH Smith Cassette Head Cleaner tape – I sold a fair few of those over the road in the WH Smith store when I worked there in the 1970s! Thanks Darren! As can be seen above, the London Bridge Theatre Graham Nash was a great night out. It was good to catch up with Phil Harris and Krys Jantzen. 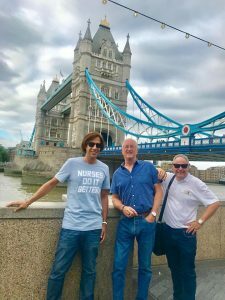 We had a very pleasant journey to the venue across Tower Bridge as can be seen in the pic here. 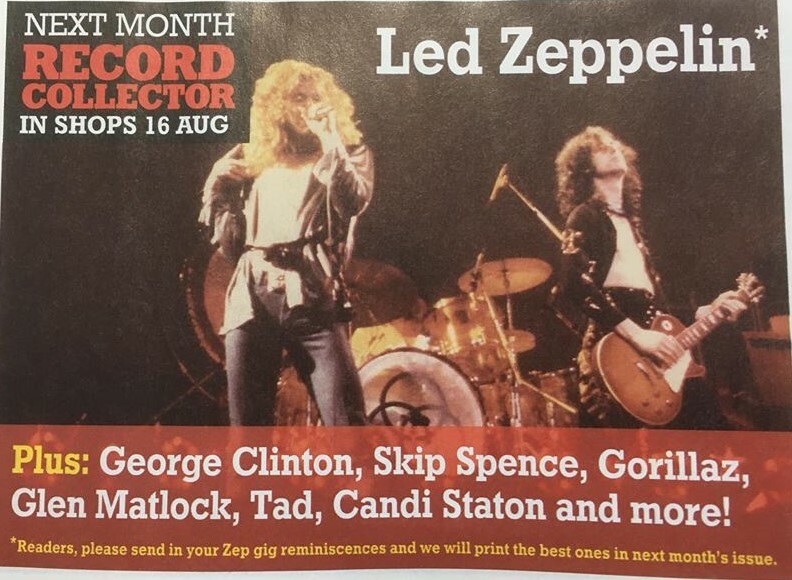 Plenty going on back here – on Tuesday was in a hot and sweaty London working on the forthcoming Led Zeppelin Record Collector feature and there’s been more prep on the next TBL issue 44. The Remastered 50th Anniversary Edition of Luis Rey’s Led Zeppelin Tape Documentary was delivered to me by a postman yesterday morning. I would be lying if I said I ordered it without hesitation. The previous edition was published only two years ago (revised and updated for the first time in 19 years), and I felt it was too soon to release another one, wondering how many new tape sources had surfaced and been released in some form or another, either downloading or bootleg CD’s, in this short span of time. However, as someone who has all of the four previous editions, completely absorbed in the wealth of information collected in those works and greatly enlightened by them, I couldn’t help but shell out £37.50, which is some price. Now, as soon as I opened the neatly bound package, taking out the book (I chose the red cover), I went straight to Osaka, September 28th, 1971. The unearthed new source with the complete 36 mins+ Whole Lotta Love/R&R Medley is one of the greatest and most important discoveries of the recent years. And what additional information did I find there? None. The description goes, the medley “cut short” — exactly the same as the previous editions. To say I was disappointed would be an understatement. The new source and the bootleg CD are around since the Fall of 2016, and there is no indication the author looked into it and team Luis checked the information. So gutted was I that I didn’t feel like moving on to another part, just turning pages here and there in a halfhearted state of mind. This neglect alone is enough for me to take the author’s word, “a lot of new information, lots of corrections, some new additions” etc, with a grain of salt. Seemingly there’s some unfinished business to be done. Yes, Hiroshi, 2nd Copenhagen night was an unbelievable performance, largely down to Page rediscovering the fluency and tone of 1973 for one last fleeting night. The audience recording sounds fantastic, but I do wonder if a soundboard exists, as you would expect the band would want to review their performance ahead of Knebworth. Maybe Page will release it for the 50th anniversary. Hi Dave. 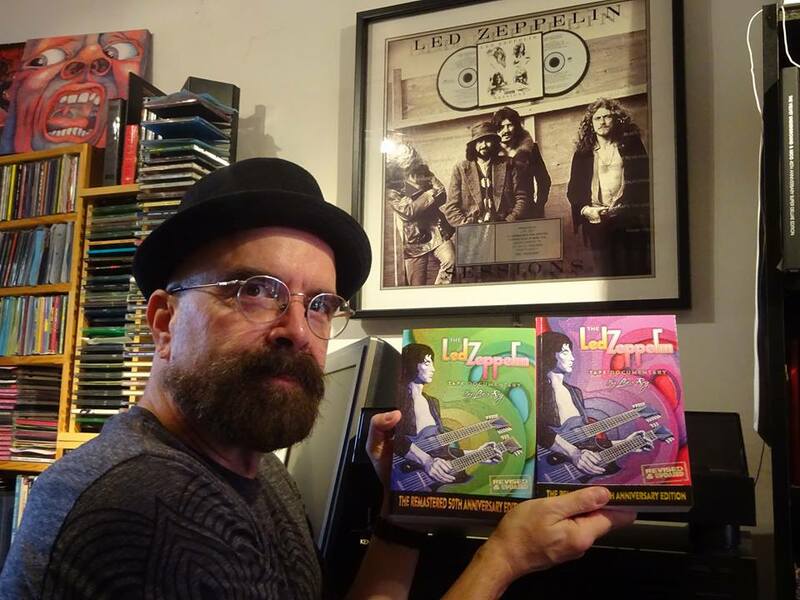 Surprised that there has been absolutely no mention of Chris Salewicz’s new book (published today) ‘Jimmy Page – The Definitive Biography’.